Let’s read a beautiful story about true friendship. 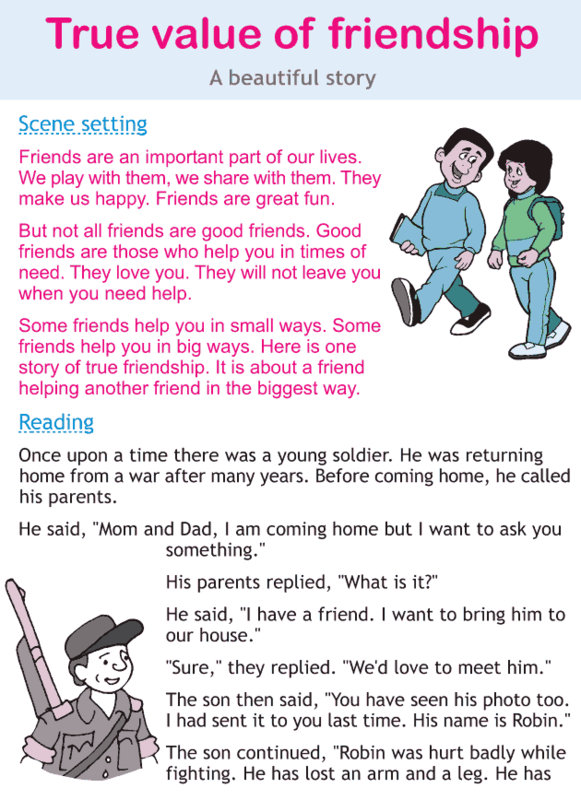 The story teaches us about how a friend should help another friend who is in need. This lesson teaches us the value of true friendship.